Our object this week is not exactly part of our museum collection here at APH. 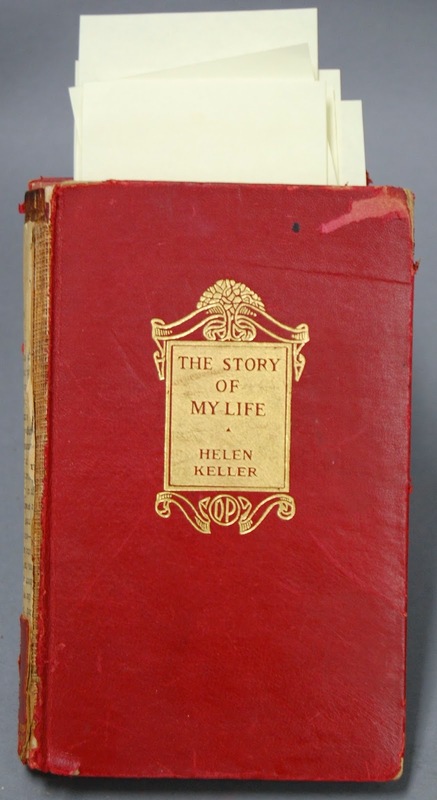 It is my desk reference copy of Helen Keller’s autobiography, The Story of My Life. Obviously a classic, it was well worn and well loved by a museum supporter long before he donated it a few years ago. My copy is a 1923 Doubleday, Page, & Company edition of Keller’s story. She originally published it in Ladies Home Journal as a series of articles in 1902, and it appeared for the first time in book form in 1903. My copy is missing its spine, and its pages are littered with post-it notes from numerous projects, the most recent being the labels for our traveling exhibit, Child in a Strange Country: Helen Keller and the History of Education for People who are Blind or Visually Impaired. I picked it up again this morning after Justin Gardner, APH's librarian for the Migel Library, told me that one of our copies, this one from 1914, was the 2nd most frequently downloaded item in the Lyrasis Consortium the last week of December. Lyrasis is a coalition of libraries working to digitize and share collections on the Internet Archive. 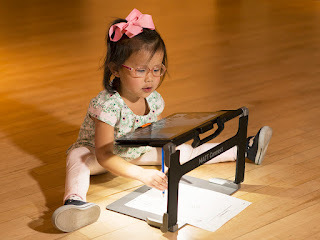 The books on the Internet Archive are available in many accessible formats, including HTML EPUB, and DAISY. Our Migel Library has added thousands of titles on blindness to the Archive since we acquired it in 2009 from the American Foundation for the Blind. Read Helen Keller's autobiography now!